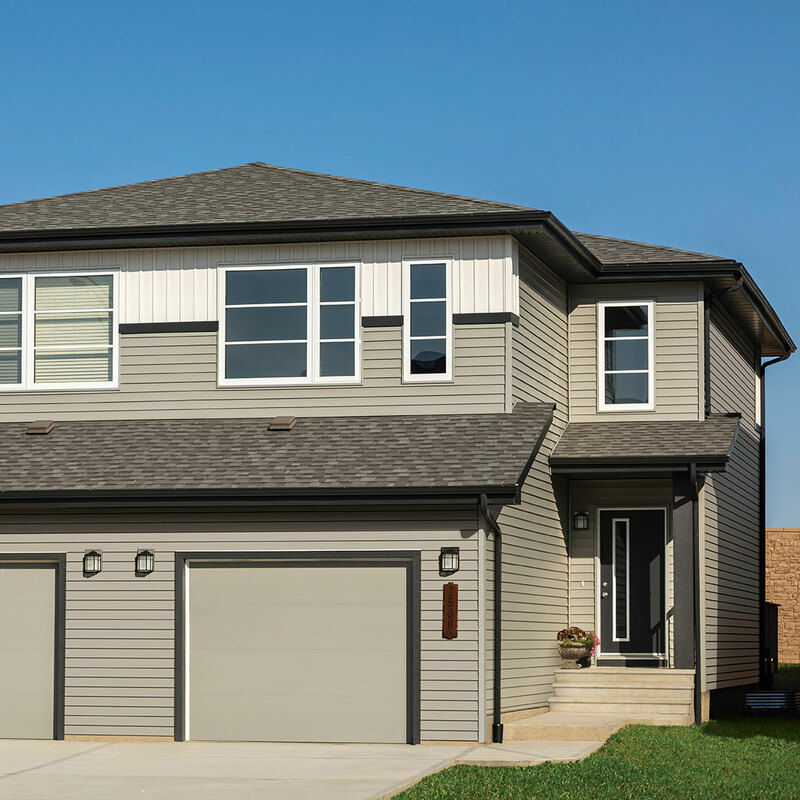 Alweather offers the best exterior siding that every home deserves, with beauty and durability that stand the test of time. 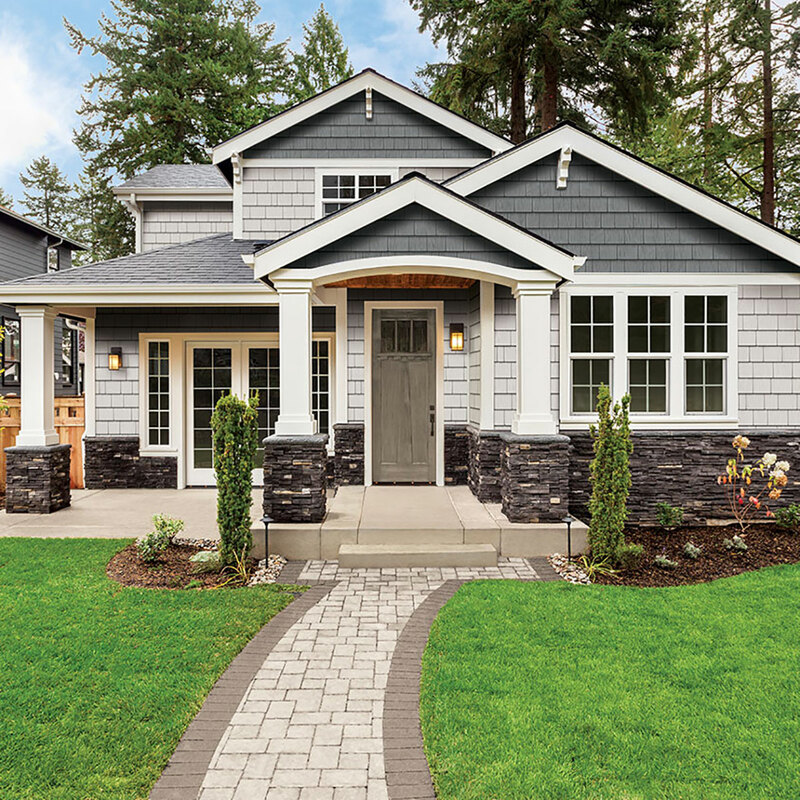 Estate Siding’s reason for being is to make sure you’ll never again have to trade low maintenance for timeless exterior design and curb appeal. Estate is easy to live with and a no-brainer to love. Its new teardrop lock design ensures it will never cry in the face of wear, tear, wind, rain or snow. And its wide range of UV-resistant colors go out of their way to match virtually any home. 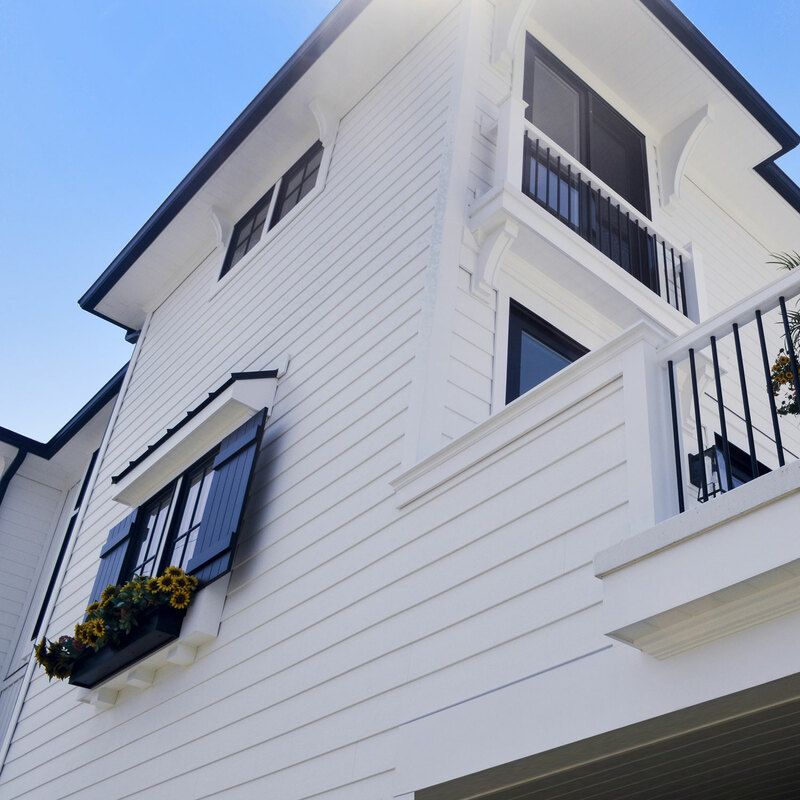 Our Royal® Residential siding has been tested. Low-gloss wood grain that looks like natural wood? Check. Refusal to warp, buckle or sag? Yup. Roll-top nail hem fit that resists hurricane-force winds? Naturally. Nineteen UV-resistant colors and a Double Lifetime Warranty that includes hail protection? Time to introduce your new siding to the neighborhood. 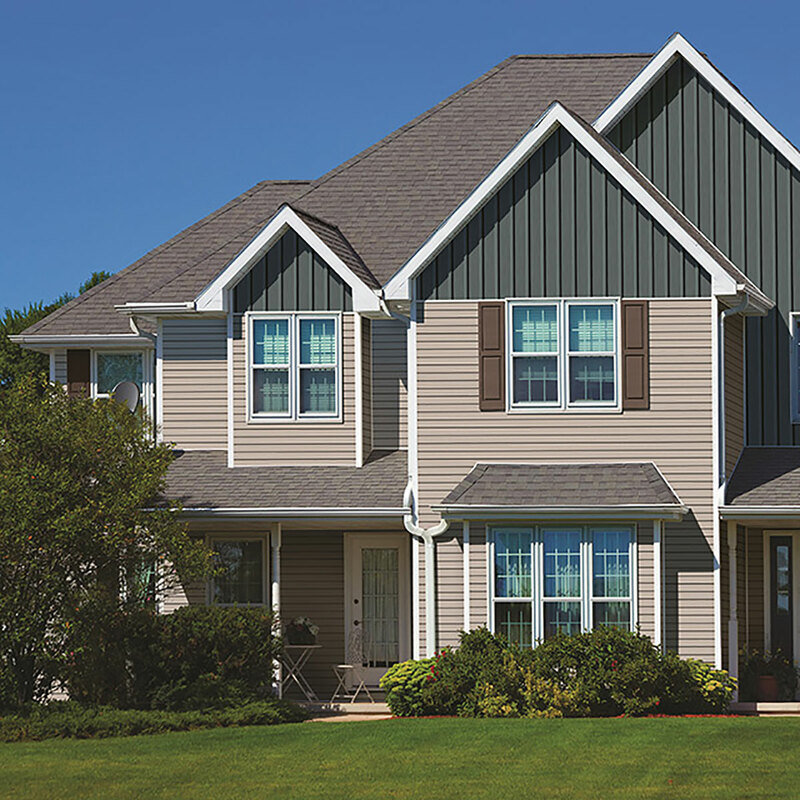 Portsmouth™ Shake & Shingles siding gives you beautiful form and function plus real color, texture and shape options—whether you choose Cedar, Hand-Split Shake, Perfection, Staggered Edge or Half Round styles. You’ll end up with siding that eliminates maintenance and stops traffic, and a home exterior with depth and emotion. That’s a compelling reason to really build bold. Seamless beauty, weather defiance, maintenance freedom and unlimited home design possibilities. Celect® is made of cellular material that is unaffected by moisture and the elements that faithfully reproduces the deep grain texture of real wood. It also has the solid heft and feel of wood. Celect siding also has an innovative, patent pending interlocking joint system that helps maintain its integrity. Because the cellular material is unaffected by moisture, the seam doesn’t break down over time.